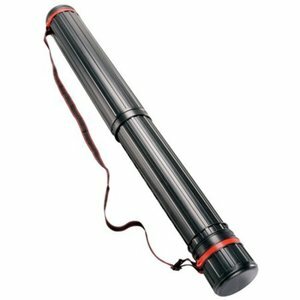 Providing you enough room to store documents up to size A0 (841 X 1189mm), this telescopic tube is perfect for the convenient transportation of large documents without folding. With an integrated strap, you can make sure that the tube is comfortably positioned onto your shoulder without difficulty. This tube has a high quality plastic construction to protect your document against damage. The compact design is unobstrusive and perfect for carrying without inconvenience.